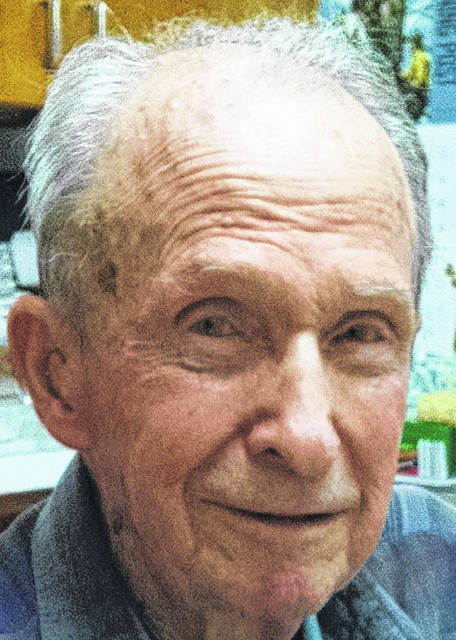 DELPHOS — Hubert Truman is celebrating his 96th birthday. A card shower would be appreciated at Van Crest Rehab, 1425 E. Fifth St., Delphos, OH 45833. He was born Dec. 21, 1921, in Athens, Limestone County, Alabama, to Lyman and Leila Truman. On June 26, 1943, he married Marjorie Wollet, who died Oct. 5, 2014. He has five children, Sandy (Maurice) Miller, of Delphos, Nancy (Jerry) Mericle, of Delphos, Pam (Jim) Raabe, of Bluffton, Ohio, Carol (Roy) Cross, of Delphos, and Bill (Rosanne) Truman, of Delphos. He retired from Clark Equipment. He is a member of St. Paul United Methodist Church. He enjoys gardening and grew tomatoes last summer to share with his friends. He is a World War II veteran, serving in the Army Air Corps in the Pacific Theatre.